Promotes players’ personal and financial data security using an end to end Secure Socket Layer digital encryption system. 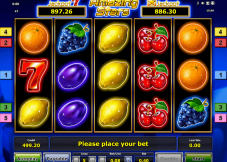 Has its games publicly audited for fairness and its Return to Player rates released by eCOGRA. Can be launched on Android, iOS, Windows, and Blackberry smartphones and tablets in both download and no download modes. Has a long list of banned countries including the United States and the United Kingdom. Digimedia limited has received praise the world over for running some of the most engaging and awe-rising online gambling destinations; Platinum Play is one of them. 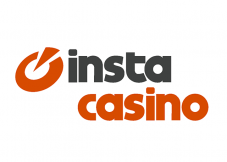 This gaming site was established back in 2004, making it one of the most skilful online casinos. Platinum Play is a sister casino to top names like Royal Vegas, Vegas Palm, and All Slots Casinos. 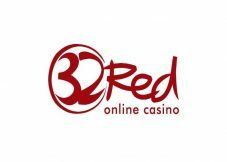 When this gambling establishment was first launched, it was only accessible on desktop devices. When the mobile gambling wave came by, the casino adapted the new mode of gaming by making its software compatible with smartphones and tablets. Some of the operating systems that support this entity’s software include Android, Windows, iOS, and Blackberry. On these gadgets, the casino can be launched in both download and no download modes. 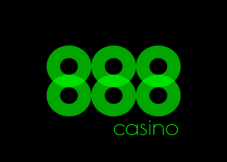 The download version requires the installation of the casino app from various mobile stores. The no download version is developed in instant play mode that is launched directly on the web browser. Platinum Play online casino is big on the provision of bonuses and promotions to both its new and existing clientele. The offers start with a lucrative welcome bonus of up to one thousand dollars in match promotions on the first four deposit. 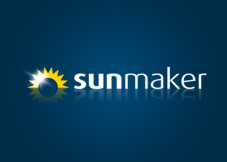 Each cash-in request is met with a 100% matchup of up to 200 euros or dollars. The first deposit match promo is accompanied by twenty-five free spins that can only be used in Bridesmaids, Dragon Dance, Wild Orient, Suntide, and Bikini Party. The third deposit bonus also has 50 free spins attached to it which can be used on the same slots as those of the first deposit bonus. The smallest deposit that can claim the offer is ten euros or dollars. The reward has to be played through forty times before a withdrawal is made. A playthrough term of forty times has to be met before a withdrawal is made. The deposit used to trigger the offer is also used to meet this term. 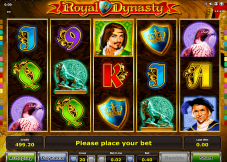 Platinum Play also features a loyalty program that rewards players in the form of points, which are earned depending on how much the gambler spends and in which games. 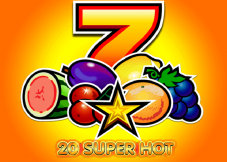 Platinum Play slots have the highest points provision rate of one point for every ten euros. When gamblers first register to the site, they are awarded 2500 points which place them in the Silver level. Additional points can then be used to climb up the ladder to Gold, Platinum, and Diamond levels, each with its benefits. An exclusive VIP club is also included and can only be joined by invitation from the casino management. Platinum Play is a Microgaming casino, which makes its portfolio one of the most impressive online. This software developer was the first to run online gambling services and has since maintained its spots as a steering force in the gambling business. Gamblers can explore an extensive collection of over one thousand games, with the biggest list of options being Microgaming slots at Platinum Play. Some of the top pokie choices include Jurassic World, Golden Dragon, Hitman, Terminator II, Racing for Pinks, etc. Table games also make a feature with choices like blackjack, roulette, poker, and baccarat in numerous variations. These games also feature in the live dealer casino, which is run by Microgaming. Gamblers can also choose to explore tables that are provided by Evolution Gaming. Some of these cashier options such as Visa, Neteller, and Skrill can be used for both cashing in and out. Others like InstaDebit and Cheque can only be used for deposits and withdrawals respectively. Platinum Play does not incur any charges for moving money in and out of one’s account, but some fees apply from the payment channel used. Deposits are immediate and come with a minimum restriction of ten dollars. Withdrawals times and restrictions are quite different. 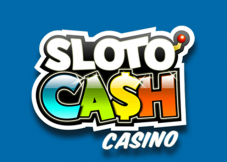 The casino applies a standard waiting period of twenty-four hours on all withdrawals. After the request has been cleared as legitimate, e-Wallets take the shortest processing time of between twenty-four and forty-eight hours. This period is still longer than what is found in some other top-tier gaming sites. Credit and debit cards follow with a processing time of between two and five days while bank transfers take three to seven days. Cheque withdrawals are the slowest and least recommended with a waiting time of seven to twenty-eight days. The adoption of these currencies is aimed at making things easier for gamblers accessing this casino in countries using varying monies. This widespread nature has also led to the inclusion of more than ten popular languages including French, English, Greek, German, Japanese, Turkish, Portuguese, Italian, Czech, Chinese, and Croatian among others. With the rise of rogue sites that are out to dupe gamblers, the license provider of a casino is considered a key factor to look into when choosing a gambling destination. Platinum Play online casino has impressed many in this front with an operating license from the Malta Gaming Authority. In the beginning, MGA did not have the best reputation among players and casinos with lagged laws and numerous issues between their casinos and players went unresolved. However, 2012 saw the institution apply major changes to its governance, which saw a rapid expansion in various sectors of the body, one of the most notable being the client support team. Today, Platinum Play gamblers and those in other casinos licensed by this operator enjoy stellar customer service that has left not one issue unresolved to date. The entity also comes with strict laws that make a fair play the priority of Platinum Play, which is enforced with regular tests run on the RNGs used to support games. Unlike most other gambling establishments that state the countries that have been barred from accessing the site, Platinum Play does not. Therefore, most players resort to clicking the register account option to determine their limitations. Those in countries where the casino’s services can be accessed can also be banned from accessing sets from some developers or incentives granted by the establishment. Platinum Play online casino has excelled on numerous fronts to land it in popularity lists in gambling regions around the world. 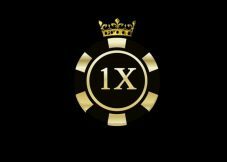 The client care team in Platinum Play also adds on to the list of elements that make this gambling site a prime destination. The team can be reached using several contact channels, the most preferred being live chat. This option runs for twenty-four hours a day and gets immediate responses. Phone and email services are also listed with Canadian players receiving toll-free services for the former. Platinum Play has also incorporated social media platforms as a way for their clients to air issues such as Skype and WhatsApp. 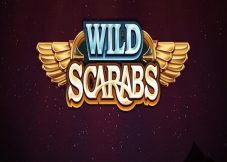 Usually I play at Real Time Gaming powered casinos using free chips or spins, but this time I wanted to try my luck with their quite new game- Wild Wizzards, so I chose to sign up at Casino Midas which is RTG powered casino. 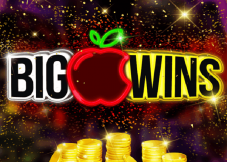 As usually at RTG casinos, I started with downloading their software.After the sign up I made a 30$ deposit and decided to not take their 100% welcome bonus, which required 25x bonus+deposit wagering. In my case it would be 1000€ and I didnt think I could pull it off there.